General Purpose Droplets VMs now supporting a wider range of production workloads. 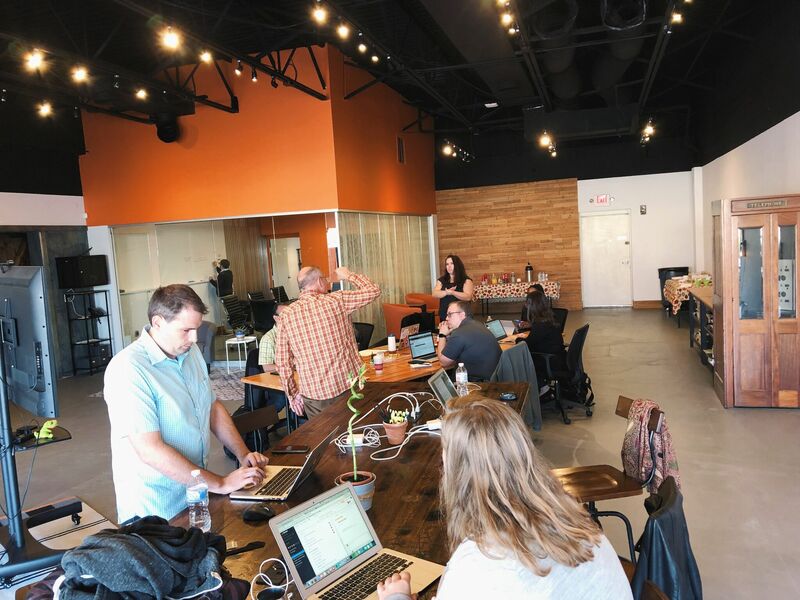 Founded in 2013, Reclaim Hosting had been relying on dedicated servers — leased from a third-party provider — to bring web hosting services to educational institutions, professors, and students. Hampered by their original solution's lack of flexibility and challenges with scaling, the “indie EdTech” company began seeking an alternative. 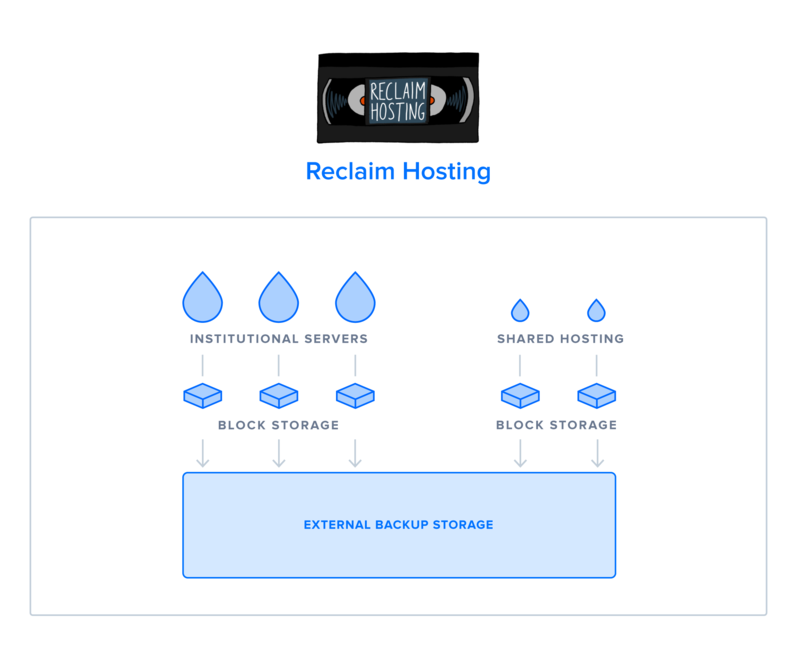 After researching a number of different providers, the team at Reclaim Hosting found a solution in DigitalOcean due to the broad product offering and general ease-of-use. Reclaim Hosting began migrating infrastructure to DigitalOcean in 2016, and continues to serve universities and educators today. Here at Reclaim Hosting we’re working to reshape web hosting in higher education. Based in Fredericksburg, Virginia, we work with educational institutions, including both students and faculty, providing them with managed web hosting services to support researchers and educators in controlling and maintaining their own websites. For the first few years after founding Reclaim Hosting, we leased a set of dedicated servers to host our customers’ websites and content. With time though, this setup became increasingly challenging as our business scaled, so we began searching for a more flexible hosting solution. We were impressed by the variety of products that DigitalOcean had to offer, and we began the process of migrating our customers’ infrastructure over in the fall of 2016. Since then, Reclaim Hosting has grown to have more than 8,000 shared hosting customers as well as partnerships with over 70 institutions. We founded Reclaim Hosting out of an interest in leveraging technology to serve education and research. For any web-based project or application, you need server infrastructure to host and serve it. But many students, educators, and school administrators lack familiarity with web hosting or don’t have the time and resources to build out an infrastructure that’s both scalable and affordable. Shared Hosting: We offer three pricing tiers for shared hosting services, each of which comes with free domain registration, an unlimited number of domains, and Reclaim Hosting’s system administration and DevOps support, all at affordable yearly rates. WordPress Multisite: We had been hosting and providing support for WordPress Multisite for a number of years, but it wasn’t until DigitalOcean announced its updated Droplet pricing in January 2018 that we began highlighting this service as a product on our website. For WordPress MultiSite hosting, we only charge customers for the bare cost of their servers and software licenses, with a flat monthly maintenance and support fee on top of that. Domain of One’s Own: “DoOO” is an evolution of the original Domain of One’s Own pilot program that began at the University of Mary Washington. Essentially, it’s a full-featured Reclaim Hosting package that gives institutions the ability to provide their students and faculty with custom domains. It features integrated domain name registration, automated and on-demand backups, and comes with dozens of open-source apps which can be automatically installed on individual domains. For each of these products, we use cPanel to abstract out many of the more challenging aspects of web server administration. We also offer several one-click-install apps for platforms frequently used by our customers, including WordPress, Scalar, and Omeka. These open-source tools are frequently used to foster collaborative learning environments or provide a public web component to digital humanities and archival projects. Additionally, we provide technical support to educators, institutions, and students using our products and assist with website and data migrations. For those who want to learn more about how to take greater ownership over their infrastructure, our website features a helpful community page where users can ask questions and share resources. 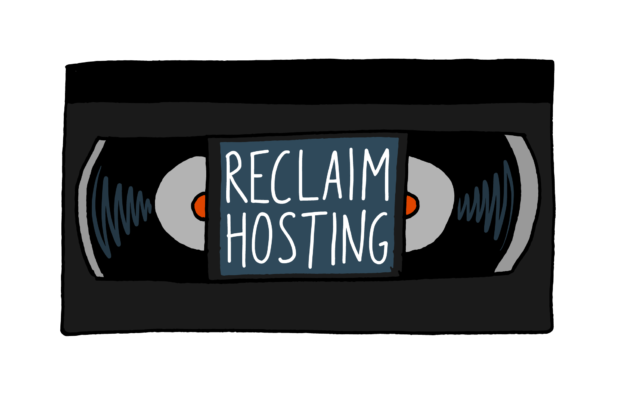 When we first started Reclaim Hosting, we hosted our customers’ websites on dedicated servers which we leased from a third party. These dedicated servers could be virtualized and partitioned into multiple separate setups, allowing multiple institutions to be on the same server while remaining within their own specific provisions. Relying on dedicated servers was the most cost-effective option we had at the time of the company’s inception, but it also introduced added complexity as our need for more scalable infrastructure grew. For example, an educator might have signed up for our Shared Hosting service with the plan to have a dozen students building websites as part of a web development class. Later on, though, that educator might decide to expand that number in order to provide access to a class that is growing in popularity. While it would be possible to lease another, larger server to accommodate the user increase, it would become tedious, especially compared to virtual servers which can easily be scaled in or out as needed almost instantaneously. Another issue stemmed from the fact that many of our potential customers were not located within the United States. Universities in Canada, Europe, and elsewhere must comply with more stringent data security and privacy regulations than in the United States, and our dedicated servers (located in the US) did not meet these restrictions. Without the ability to provide regionalized hosting, we were essentially cut off from a large portion of possible users. These issues pushed us to begin searching for a more flexible hosting solution, and led us to take a closer look at DigitalOcean’s offerings. We had been using DigitalOcean to host our nameservers since Reclaim Hosting was founded in 2014. We had always admired the platform for its user-friendly interface and the speed with which one can spin up a Droplet, but there were not enough storage options to make a company-wide migration feasible at the time. When we relied on dedicated servers and needed to scale out our infrastructure, we would lease a single server, virtualize it, and break it up into four or five partitions for each institution in the setup. Providing storage for customers was a significant component of our offering, so we would then allocate 250GB of storage for each school that would be using the partitioned server. This changed in the summer of 2016, however, when DigitalOcean announced the release of Block Storage on Droplets. With this new feature, we could spin up a Droplet with 60GB of storage which could capably handle our customers’ needs, and then add block storage volumes as necessary to meet their storage demands as well. With this announcement, DigitalOcean had finally come to meet all of our needs for a virtual hosting solution, and we began the process of selling off our dedicated servers and migrating over to DigitalOcean. In this setup, we have separate pools of servers for our shared hosting and Domain of One’s Own services. Every server has at least one block storage drive mounted onto it which holds our customers’ content and data, and each makes regular backups to an offsite backup service. We use DigitalOcean’s Droplet tagging feature to help us keep our servers organized, and are currently looking into ways we can incorporate Spaces into our product offerings. We are also in a discovery process of working with Ansible to spin up servers even more quickly. The driving force behind migrating to DigitalOcean was the flexibility that virtual private servers provide. The ability to expand disk space or server resources at a moment’s notice without being locked into a specific configuration or having to go through complicated migrations were a must for us as we researched our options. We often found our servers would age poorly when what seemed like a decent amount of RAM or hard drive size three or four years ago would no longer be enough. Thankfully, this isn’t a concern on DigitalOcean since we can scale over time. We were also motivated to switch to DigitalOcean because of the global availability of the company’s servers. With data centers all over the world, DigitalOcean opened us up to customers who had long been hoping to work with us but were unable to due to our inability to provide access to infrastructure outside the United States. This, along with the fact that all of DigitalOcean’s servers are SSD-based also helped us to ensure that latency would be reduced as much as possible from the server-side. Earlier this year, we welcomed DigitalOcean’s announcement of its new Droplet plans. This price change has allowed us to provide institutions and university community members with more powerful servers and larger amounts of storage without having to modify our own pricing tiers. Moving from dedicated servers to virtual servers on DigitalOcean has made a positive impact on our ability to meet the needs of our customers. Our typical support response time is down to less than 15 minutes during our business hours, and our average uptime across all servers is 99.75%. We’re also steadily working to expand our product offerings, and expect to release an installer for Commons in a Box later this year for educators who want to offer their students websites through a more robust platform. We founded Reclaim Hosting out of an interest in the education side of hosting and a desire to make it easy for educators and students to find new ways to teach and learn with the power of hosting. Migrating our servers over to DigitalOcean has allowed us to continue to deliver on our goal of making hosting fast, easy, and affordable. Have questions before you deploy? Contact our Customer Success team to get answers. © 2019 DigitalOcean, LLC. All rights reserved.